We are passionate about delivering the freshest and most seasonally stylish bouquets. Our contemporary flowers come directly from our growers - they are picked and then delivered, hand tied, straight from the field to your vase. The freshness of our flowers is why we promise that your blooms will last for at least 10 days of happiness. 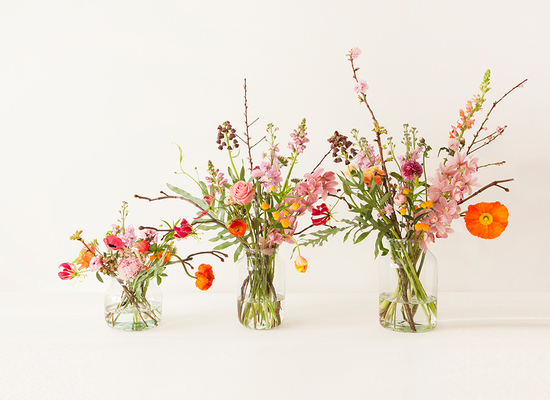 We have even designed a recycled, hand-blown vase perfectly sized for your bouquet - you can add this to your delivery too! With a ‘less is more’ philosophy, our spacious designs allow each individual flower the chance to breathe – and shine. Our flowers are a straight to vase bouquets, yet we do encourage you to be creative and give the arrangements your own personal touch. You are just 3 simple steps away from receiving your Bloomon bouquet: firstly selecting your Medium Bouquet, then choosing how often you would like your blooms (weekly, fortnightly, monthly - we are absolutely flexible) and finally happiness delivered - enjoy your flowers! Don’t worry you can pause or cancel your subscriptions at any time with our lovely Bloomon team on hand to help.